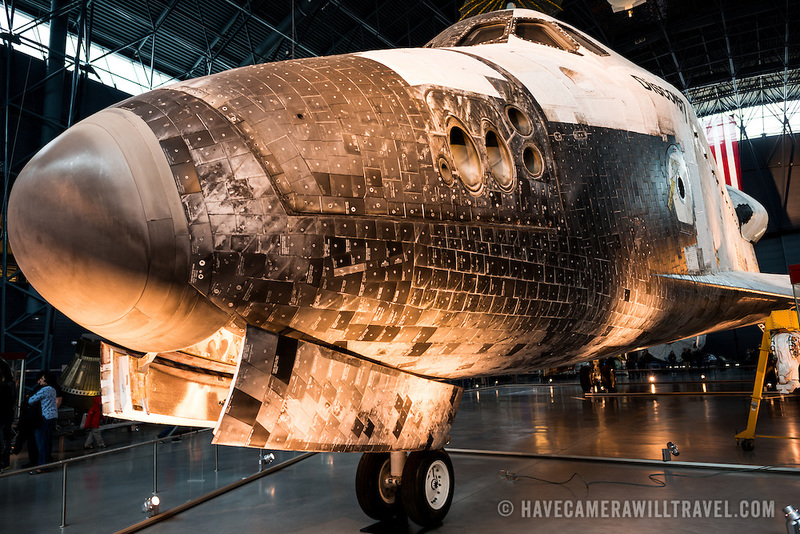 The heat resistant tiles on the nose of the Discovery at the Smithsonian Air and Space Museum. The decommissioned Space Shuttle Discovery is on permanent display in the James S. McDonnell Space Hangar at the Smithsonian's National Air and Space Museum's Udvar-Hazy Center in Chantilly, Virginia, just outside Washington DC. The shuttle arrived at the museum on April 19, 2012, and replaces the Space Shuttle Enterprise.